Today on the podcast, I’m talking with running coach, Greg Mitchell. Greg has been a runner since 1995, and a coach almost as long. 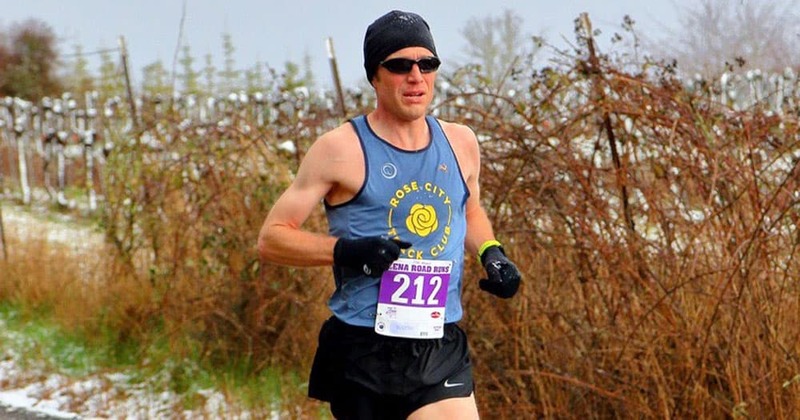 Currently, he is the head cross country coach at Mountainside High School in Beaverton, and also the coach of the Rose City Track Club. A training group for runners of all levels, but focused on the sub-elite types of runners. They are a grassroots, nonprofit running club created by friends that value the spirit of competition, camaraderie, hard work, and love for the sport. there’s a link in the show notes if you’d like to learn more, and even join them. The bulk of the conversation in this episode between Greg and I is an excerpt from a longer talk I heard him give a while back at Portland Running Company. The idea is that by following these five simple principles, anybody can become faster than they think they can. There’s no shortcuts here, and it involves some hard work, but if you’re serious about accomplishing your running related goals, this is how to do it. The content is timeless, and relevant for new runners and seasoned vets alike. There’s an outline in the show notes, but if you’re serious about taking your running to the next level, pay close attention. A fun fact about Greg is that for his 40th birthday, he decided to take a stab at the Masters 20K record on the track. He gathered about 100 people at the Linfield Track and ran a 68:21 en-route to a new record! He is my new hero and maybe I’ll attempt something ambitious when I turn 40 in 2019. THINK: What do I really want to accomplish and what am I willing to do to achieve it? What’s realistic to give up to reach your goals? PLAN: How do you get to your goal? This could be a training plan or something else. EQUIP: What will help you get there? We talk about shoes and other running gear, as well as recovery tools. TRAINING: This is where you implement your plan. This could involve everything from actual running, nutrition, sleep, all of it. RACE: The place you put your training on display. “It’s a great way to celebrate what you’ve done [in training].” It may not be a race, but something that helps you measure your desired outcome. The Oregon Brewery Running Series is about inspiring Oregonians to Get Active, Have Fun, and Give Back. We host family-friendly, 5K fun runs that start and end at some of Oregon’s best breweries. Register for our next run here! If you’d like to join us at one of our upcoming runs, register with promo code Greg5, and you’ll save $5 off your entry. Our theme music, The Oregon Song, is written and performed by James Hoffman.